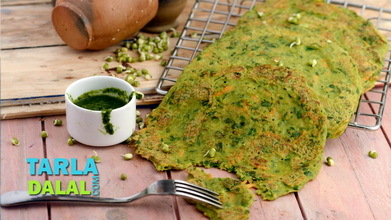 Combine the rice flour, urad dal flour, green peas, coriander, green chillies, salt, cumin seeds powder and ¾ cup of water in a deep bowl and mix well to make a batter of dropping consistency. 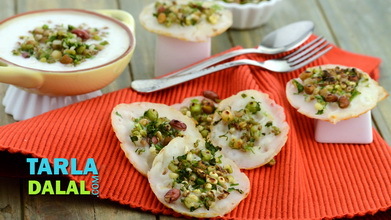 Add the fruit salt and 2 tbsp of water over it. 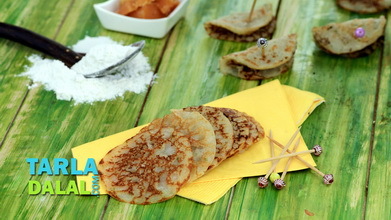 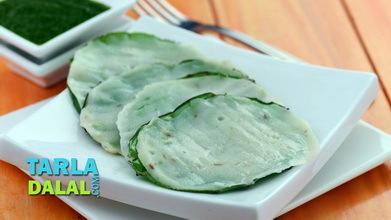 Place a banana leaf on a flat, dry surface and pour 2 tbsp of the batter over it. 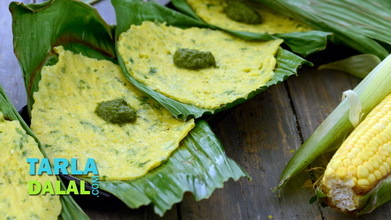 Cover with another banana leaf with the greased side over the batter, press it gently to spread the batter evenly to make a thin layer. 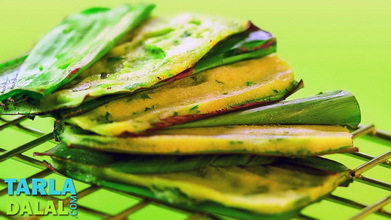 Cook on a non-stick tava (griddle) till light brown spots appear on both the leaves and the panki in between peels off the leaves easily. 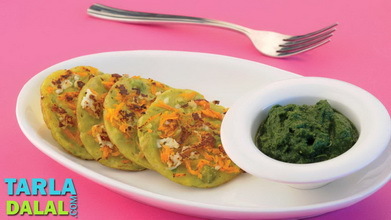 Repeat steps 5 to 7 to make 7 more pankis. 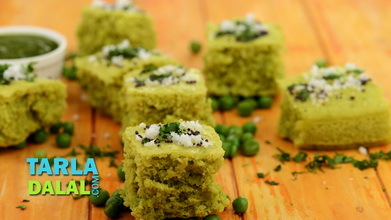 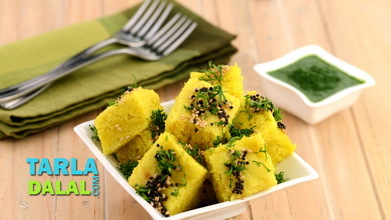 You can use grated paneer, cabbage, carrots instead of green peas for the above recipe.